Building Longer, Stronger Lives. One Donor at a Time. Did you know that every day 10,000 people turn 65? As Baby Boomers enter their retirement years, we expect the demand for Area 10’s services to expand significantly. 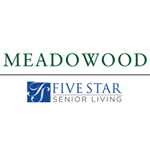 Community Partners are businesses and organizations who show their support by helping us build a community where older adults and persons with disabilities have a voice, a safety net of services, and easy access to resources. Your tax-deductible contribution is vital to our success and allows us to fulfill our mission of providing resources, solutions & connections that empower community members to live more fulfilled lives. We invite you to partner with us! Community Partners receive a variety of benefits that stretch throughout the year. Your contribution can be made as a single payment or through installments scheduled at your convenience. If your business or organization is not interested in becoming a broader Community Partner, you can sponsor one or more individual events for $1,000 each. Individual event sponsors receive recognition on various promotional materials depending on the event. You may choose from the events listed above or select other special opportunities throughout the year as they become available. As a 501(c)3 private, nonprofit organization, we rely on private donations and in-kind contributions from the community. Contact us to learn more about how to support our mission by making a donation, hosting a food drive, conducting a fundraiser on our behalf, or donating goods and services. For more information about Area 10’s sponsorship opportunities, contact: Chris Myers, CEO by email or call (812) 876-3383 ext. 503. 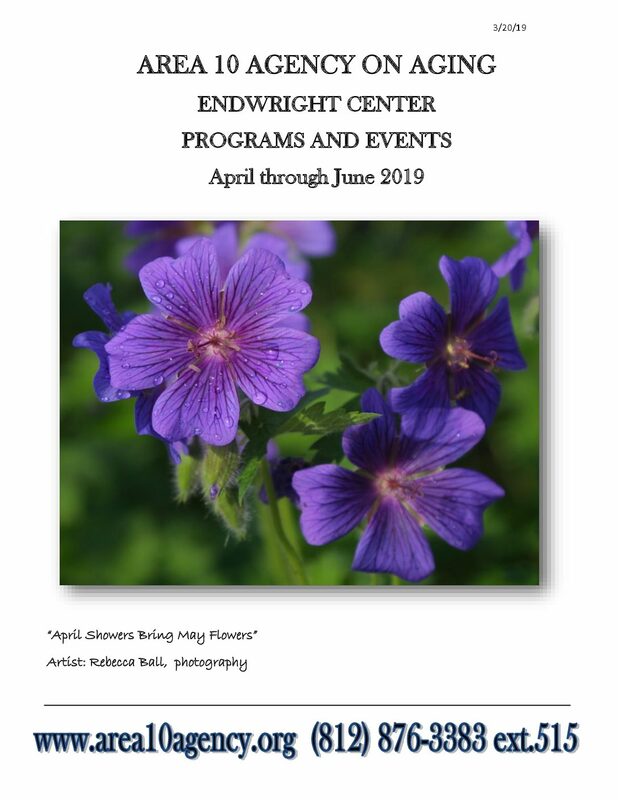 Endwright Programming Guide April 2019- June 2019, Come join the Summer fun! Help us continue providing essential support and services to our most vulnerable community members. Donate today.